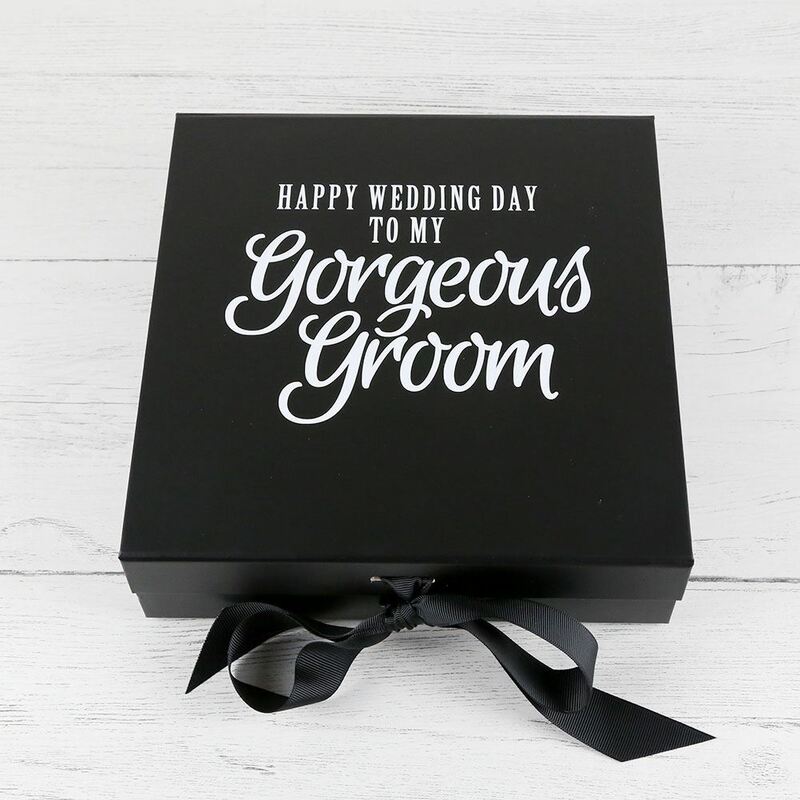 Our lovely Grooms box is the perfect gift for your groom on your big day. 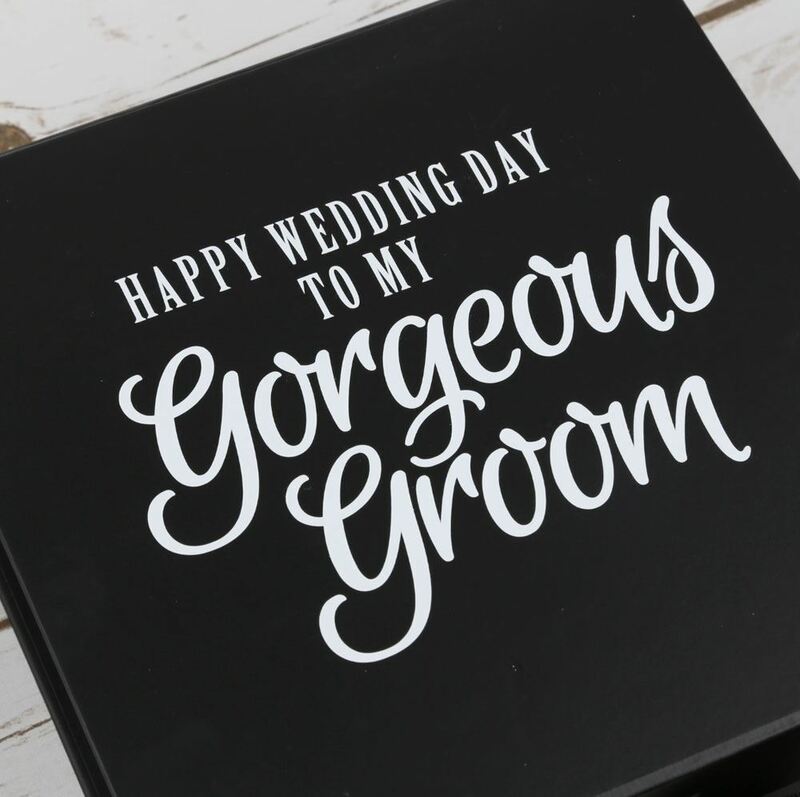 Fill with little gifts to surprise him or let him know you can't wait to marry him. 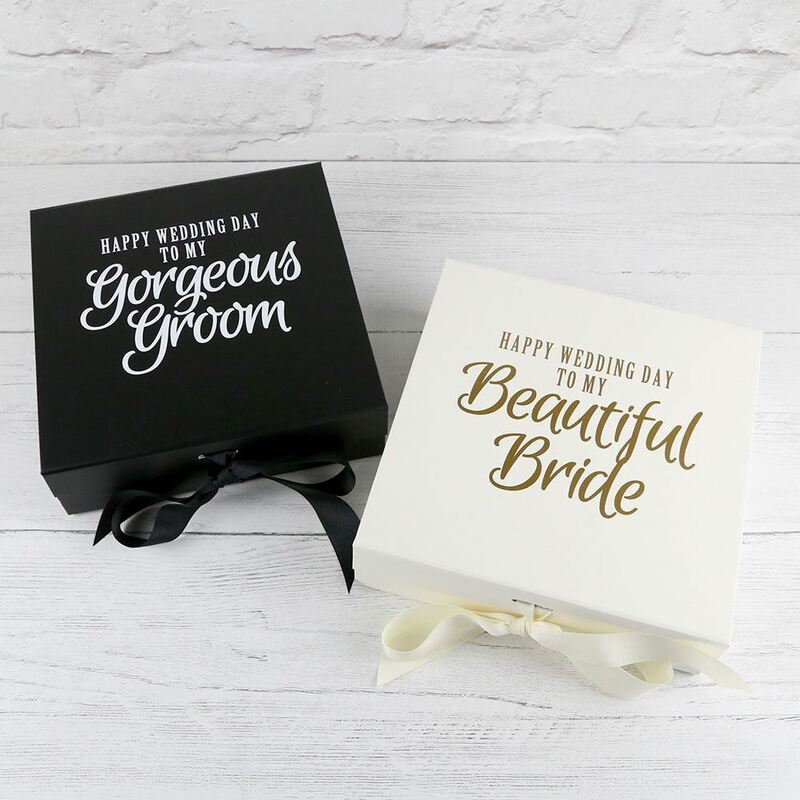 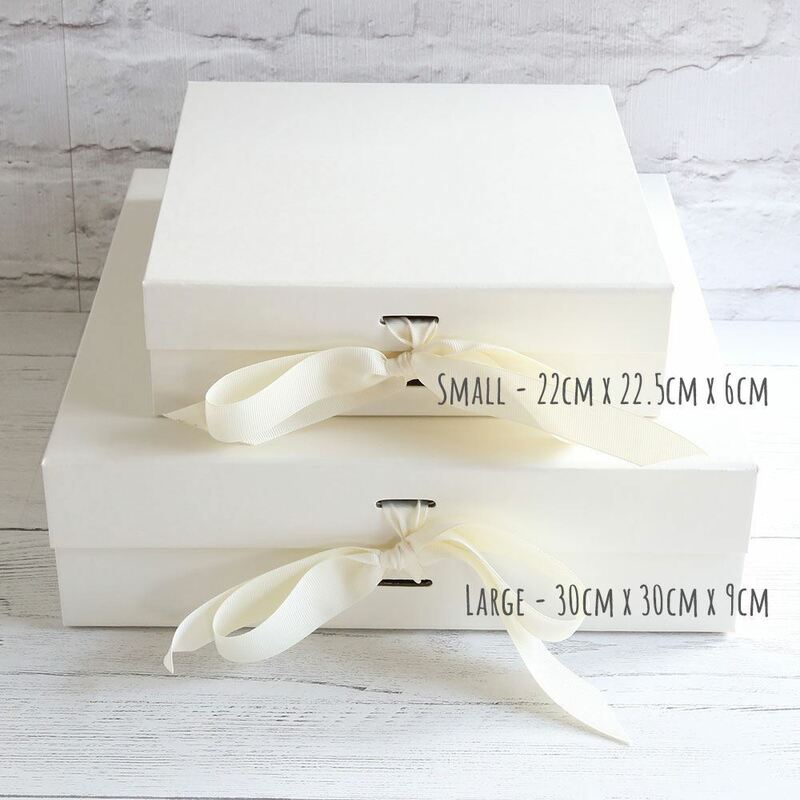 Also available with just "gorgeous groom" and now also with your grooms name and your wedding date as optional extras so you can create your perfect box! 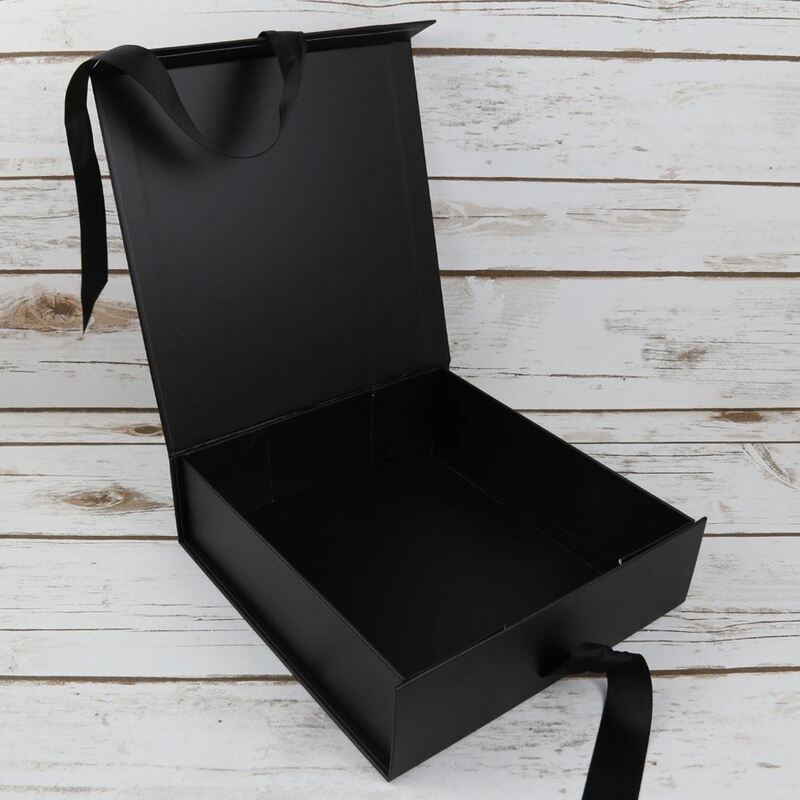 These are high quality board boxes with a magnetic snap shut lid and is finished with a matching black bow. 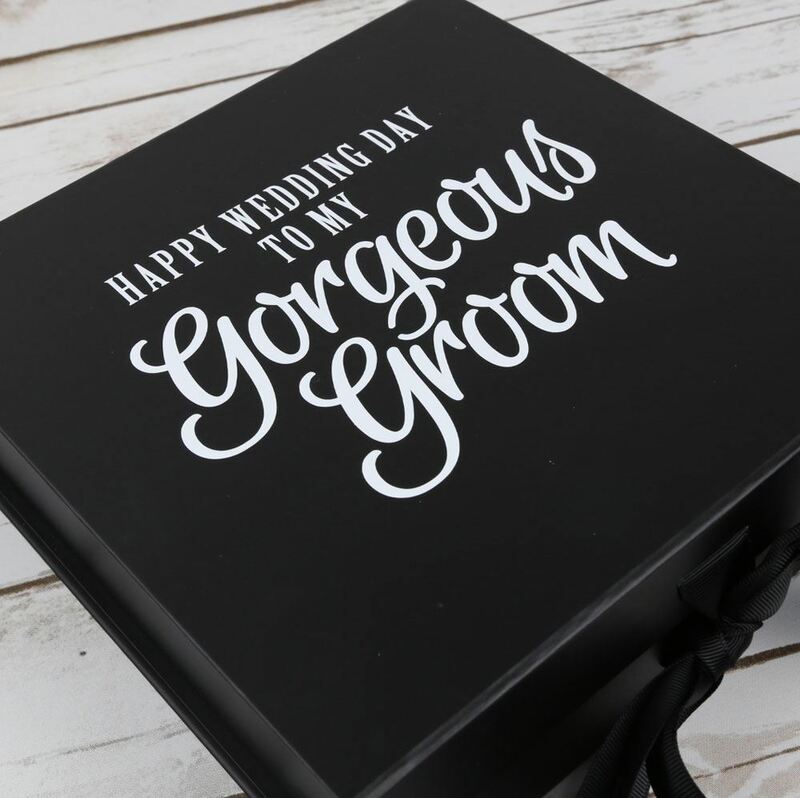 If you would prefer the box without the message "happy wedding day to my" please put a note in the comments box when you order.